Get those runners ready to join the One Family team in this year’s Vhi Women’s Mini Marathon 2017! 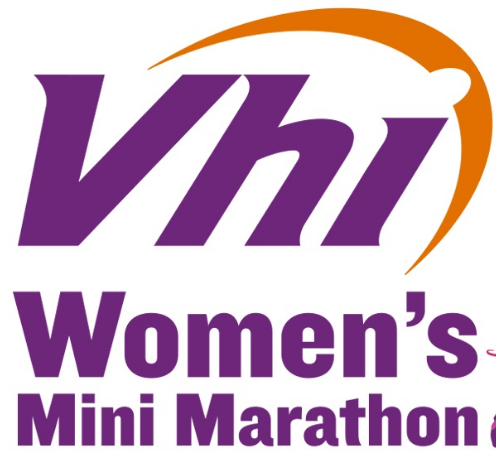 The Vhi Women’s Mini Marathon starts at 2pm on Bank Holiday Monday, 5 June. Find entry forms in The Herald every Wednesday and Saturday or sign up online here. Start your fundraising for One Family here using iDonate. Your Vhi Women’s Mini Marathon fundraising for One Family will support us as we continue to provide vital services for parents and children of one-parent families. Our services include the askonefamily helpline, counselling, supports for young people in care, play therapy, parent mentoring and mediation, social outings, and training programmes. Let us know when you’ve registered by emailing us, and we will give you information on receiving your One Family t-shirt. It’s going to be fun! Start Line: Fitzwilliam Street Upper, Dublin 2. Finish Line: Baggot Street Upper, Dublin 2. Entry Closing Date: 28th April 2017 or when maximum number of entries is reached. We are delighted to announce that a percentage from the sale of every Santy bagel at Itsa outlets will be donated towards the work of One Family. 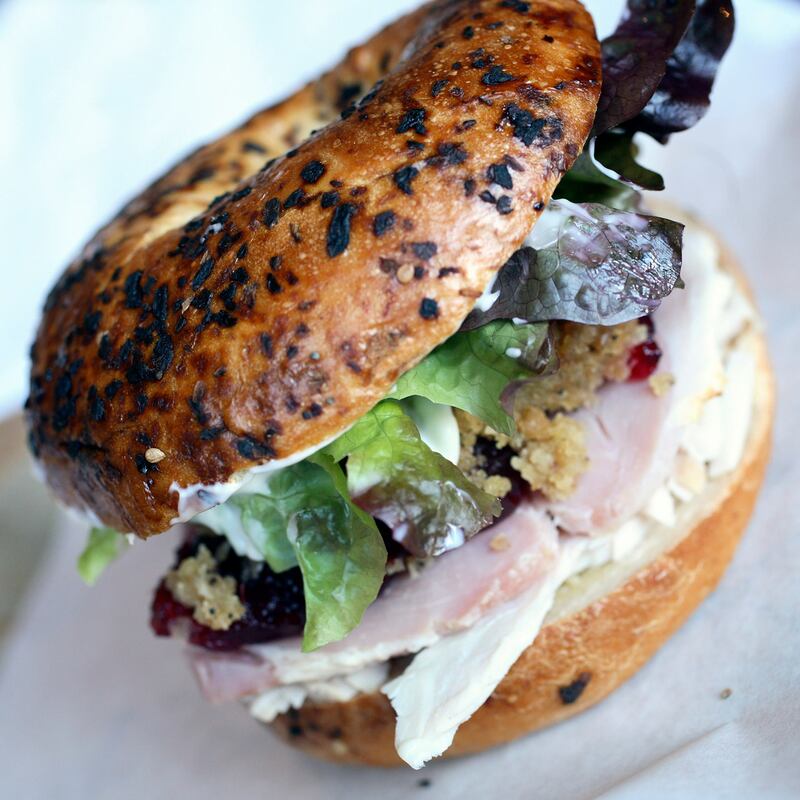 The Santy bagel is an onion bagel with roast turkey breast, baked ham, homemade herb stuffing, cranberry sauce, lettuce, mayo and butter and it’s in Itsa now. You can find Itsa stores at Dún Laoghaire, Arnotts, Sandymount, Malahide, Hugh Lane Gallery, IMMA, Sandyford, Exchequer Street, Dublin Castle, Ranelagh and Harvey Nichols Dundrum. Thank you Itsa and thank you to everyone who buys a Santy bagel in the weeks ahead for your support. Enjoy. 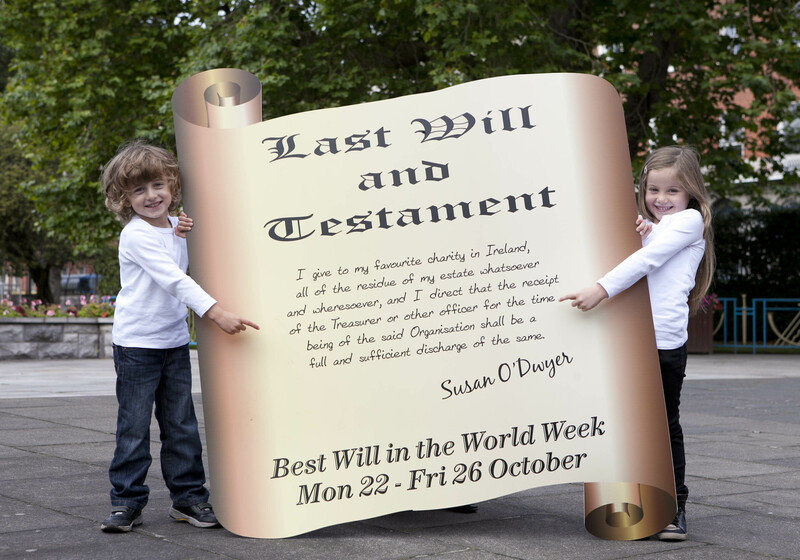 Best Will in the World Week takes place from Monday 22nd – Friday 26th October, organised by MyLegacy, a coalition of over 70 Irish charities, including One Family. Solicitors across the country will offer will consultations to the general public for a flat fee of €50. Those interested in making or updating an existing will, are also being encouraged to leave a gift to their favourite charity in their will after loved ones have been looked after. See www.mylegacy.ie for a list of participating solicitors and charities. Thanks so much to everyone who attended, volunteered at, helped publicise and organise – or took part in – The Culwick Choral Society’s Messiah in Dublin’s St Patrick’s Cathedral last week. We had two glorious evenings of music and song to get everyone in festive mood and we were delighted to see such a crowd on both nights, as any proceeds go to our askonefamily helpline which has been inundated with calls since the recession. One Family, Ireland’s leading organisation of one-parent families, recently started providing Financial Services to others in the Community, Voluntary & Social Enterprise Sector. One Family, Ireland’s leading organisation of one-parent families, is delighted to announce that it has been chosen as the benefiting charity for this year’s performances of Handel’s Messiah by the Culwick Choral Society. With performances on 23 and 24 November at St Patrick’s Cathedral, all proceeds will go towards the *askonefamily helpline for one-parent families. Mr David Bell, the oldest practising solicitor in Ireland at 91 years, with grand daughter Emily Bell. One Family is proud to be a member of My Legacy, where 60 Irish charities are working together to raise public awareness of the importance of leaving charitable bequests in your will. 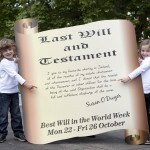 During our Best Will in the World Week, from Monday 17 to Friday 21 October 2011, we are encouraging members of the general public to visit a local participating solicitor to have a will drawn up or changed and to consider leaving a legacy to their favourite charity. According to recent Irish research, only one in three Irish adults make a will. Furthermore only 12% of Irish people indicate that they have included a charity as a beneficiary in their will, despite the fact that 62% of Irish people say they would consider leaving a gift to charity in their will. Legacy donations are an extremely valuable source of unrestricted income to charities. However Irish charities only raise approximately 6% of their income from legacies which compares to up to 40% in the UK. Indeed, many Irish charities have never received a bequest. This month’s Food & Wine has a great piece about the One Family food and wine fundraiser held in the RHA – it tells you how to make the irresistible, cost-effective canapés from Fallon & Byrne and suggests affordable Wolf Bass wines to compliment. Thanks to all involved!